At the Garrison Field, X-Road’s booked a spot in the Semi-Final draw of the FA Challenge Cup following their 5 – 0 win over the St. George’s Colts. 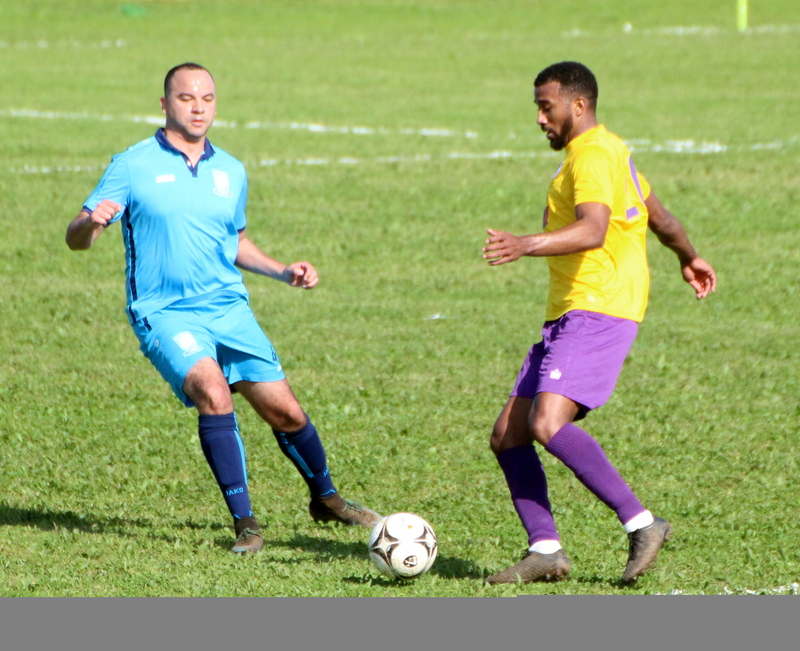 The Premier Division outfit had their First Division opponents pinned in their half for long periods with St. George’s looking for the counter-attack. Midway through the First Half Paul Simons Jr. would give X-Road’s the lead with a shot through a maze of players, Simons Jr would go on to score three more times and X-Road’s would also get a strike from Donavan Thompson to complete the route. At the Somerset Cricket Club the dandy Town Hornets would come away with a 5 – 1 win and advance to the FA Challenge Cup Semi-Final Draw. Jahnazae Swan scored in the 17th with a header to give the Dandy Town Hornets the lead, Kwame Steede forced a loose ball over the line to make it 2-0 in the 50th minute. Five minutes later it was 3 – 0 when Angelo Simmons scored a powerful header, Michael Parsons would then score a 40 yarder which dipper over the keeper in the 62nd minute. Deunte Darrell scored from close range for the Somerset Trojans in the 66th minute to make it 4 - 1, but Taevion Woodley would restore the Dandy Town Hornets 4 goal lead when he scored in the 78th minute with a drive from 14 yards. Hubert Butterfield scored for the Somerset Trojans to make it 5 - 2 with a low shot from the top of edge of the box.